Next show is Sep 10th featuring Garnet Rogers. Tom Rush on Sep 24th. 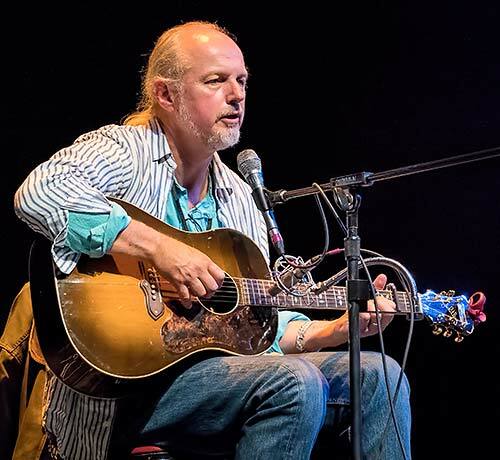 The Circle of Friends Coffeehouse begins its 27th season on Saturday September 10th with famed Canadian singer Garnet Rogers. Garnet has established himself as "one of the major talents of our time". Hailed by the Boston Globe as a "charismatic performer and singer", Garnet is a man with a powerful physical presence and a voice to match. With his "smooth dark baritone" his incredible range, and thoughtful, dramatic phrasing, Garnet is widely considered by fans and critics alike to be one of the finest singers anywhere. His music, like the man himself, is literate, passionate, highly sensitive, with a deep purpose. An optimist at heart, Garnet sings extraordinary songs about people who are not obvious heroes and of the small victories of the everyday. As memorable as his songs, his over the top humor and lightning-quick wit moves his audience from tears to laughter and back again. Don't forget to order tickets for Tom Rush who will be appearing on September 24th. All of his previous shows at Circle of Friends have been sellouts.